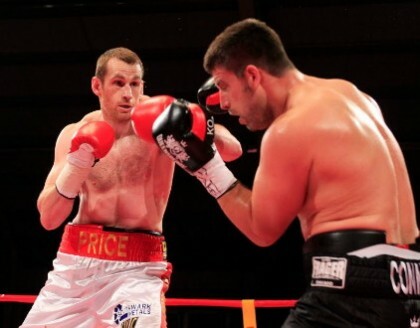 Former British and Commonwealth heavyweight champion David Price will face Jakov Gospic on the May 29th card in Liverpool that will be headlined by Tony Bellew-Ilunga Makabu for the vacant WBC cruiserweight title. This will, of course, be Price’s first fight back since being stopped inside two-rounds by Erkan Teper last July. Teper, like the only other man to have beaten Price, Tony Thompson, later failed a drugs test. Price is now convinced he can make it to the very top and that he was beaten only due to cheating on the part of Thompson and Teper. Gospic, 17-14(12) was linked to Shannon Briggs at one point, with various reports suggesting the journeyman would face Briggs on tonight’s card at The O2 in London. Now Price gets the chance to ease himself back into action against the 33-year-old Croatian, with new trainer Dave Coldwell taking over as his head trainer. Price, a powerful puncher who looked for all the world like at least a world title challenger if not a world title winner before his three setbacks, told Sky Sports that he has no interest in going back over old ground at British level, instead aiming to show what he can do at the highest level. Price insists we have not yet seen him at his best. Phase-one of the comeback begins a week tomorrow, and Price, 19-3(16) should have no real issue in beating smallish heavyweight (just 6’1” to Price’s 6’8”) Gospic. Price may want to get some rounds under his belt as he reacquires his confidence and sheds some rust, but anything other than a clear and commanding win will not be enough to convince the sceptics Price has what it takes to make a long and successful return. If Price can get some momentum going, winning, say, three or four fights, maybe he can still get in there and mix it with the big names of the division. Price is young enough at age 32, but is he mentally strong enough to be able to bounce back from those three KO losses (albeit against men who subsequently failed drugs tests)? Next boxing news: Who will Gennady Golovkin fight next?